The second season of History's drama series "Six" has premiered on May 28, 2018. 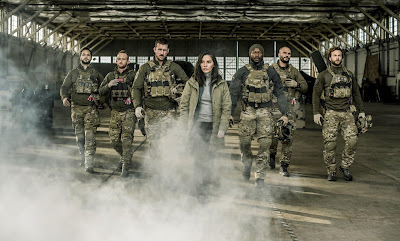 Created by William Broyles Jr. ("Apollo 13", "Flags of Our Fathers") and David Broyles, the show chronicles the operations and daily lives of members of the famous SEAL Team Six. 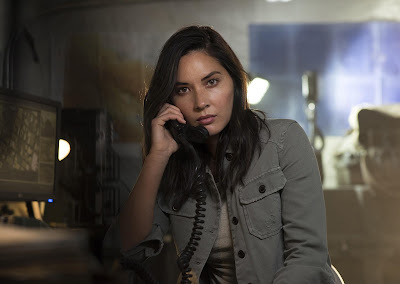 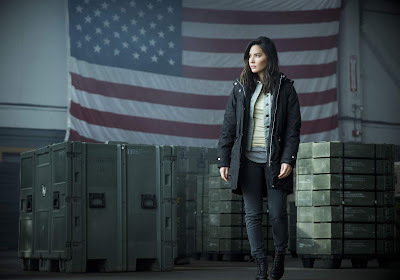 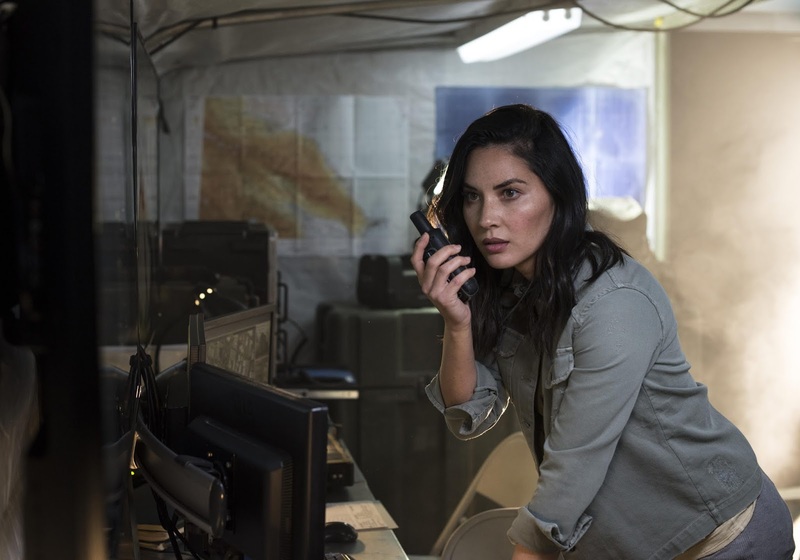 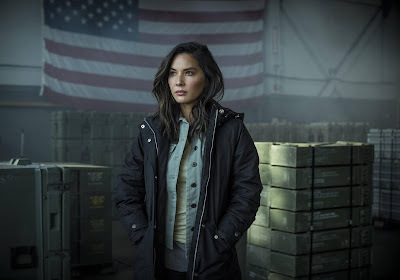 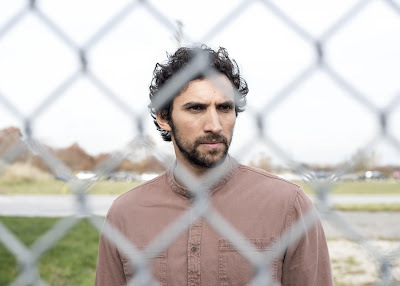 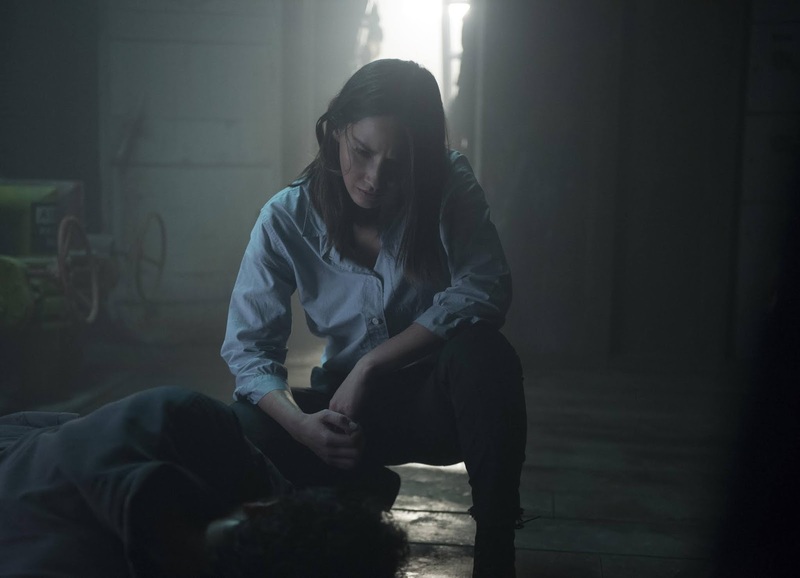 The new season finds the team working with CIA officer Gina Cline (Olivia Munn) to locate the terrorist group responsible for the death of their team leader. 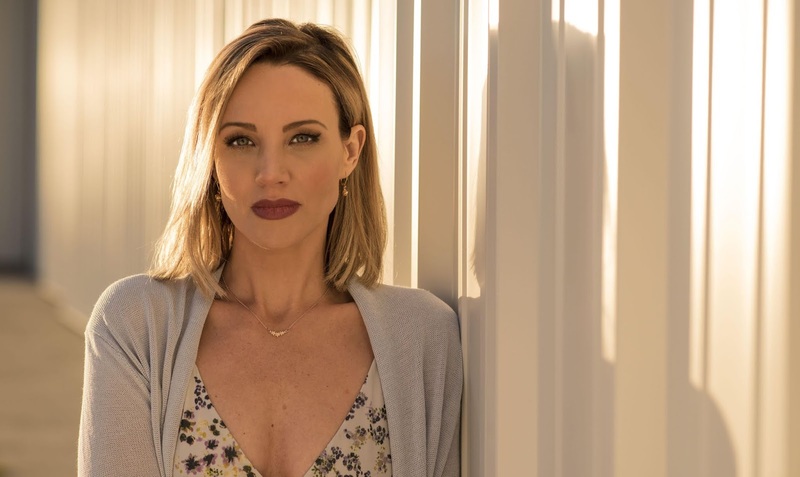 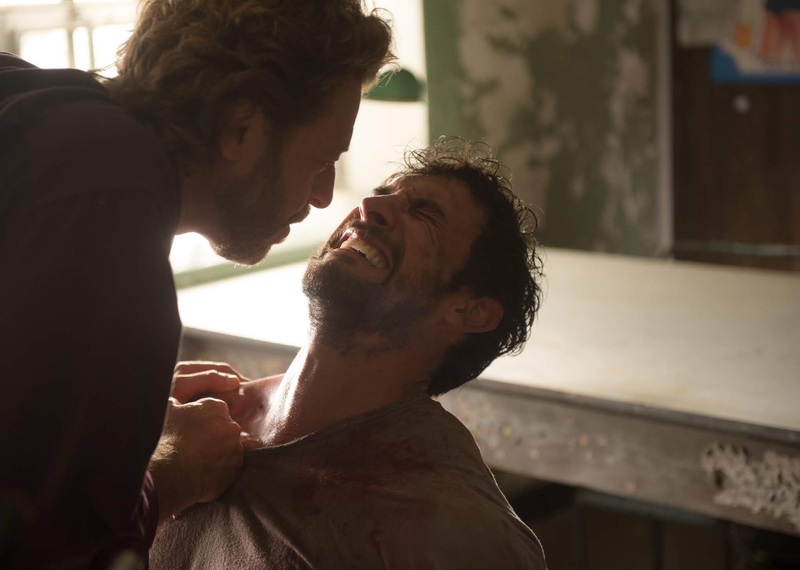 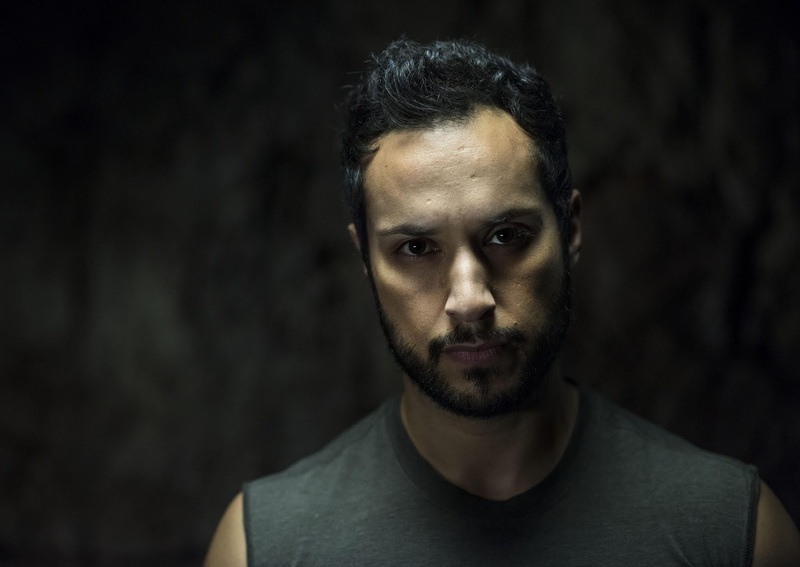 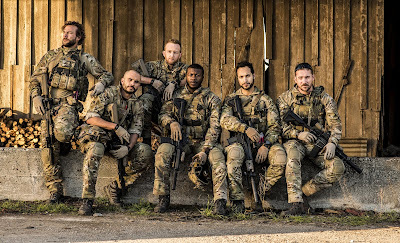 The cast includes Barry Sloane, Kyle Schmid, Juan Pablo Raba, Edwin Hodge, Dominic Adams, Jaylen Moore, Brianne Davis, Nadine Velazquez and Jessica Garza. 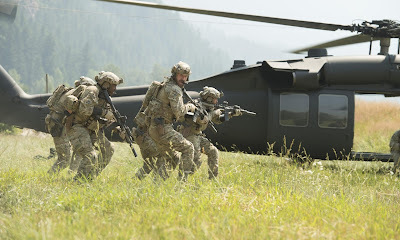 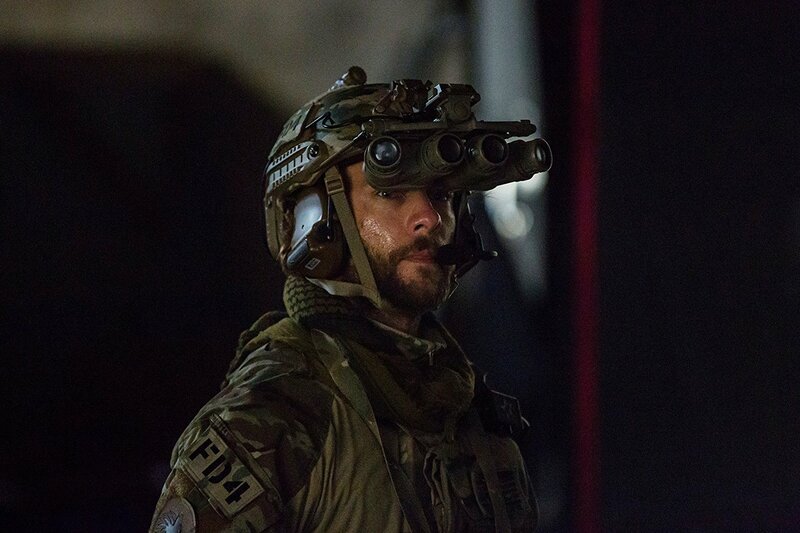 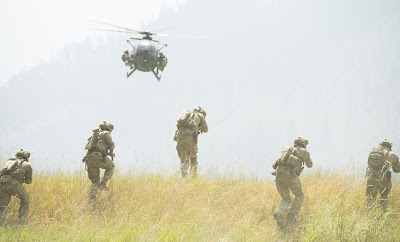 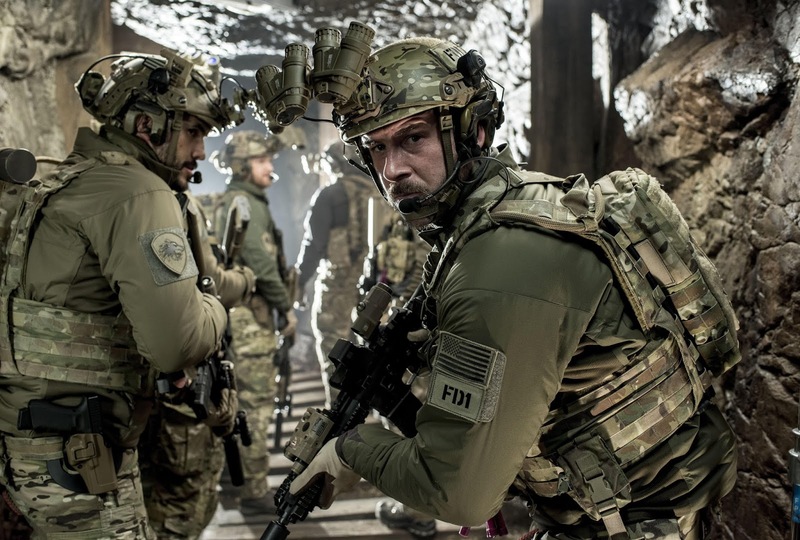 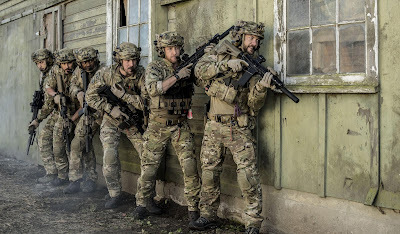 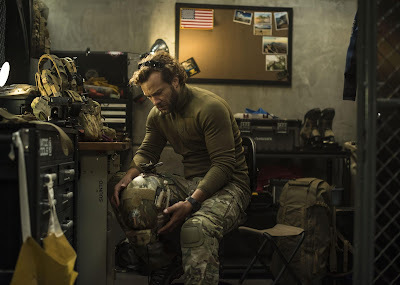 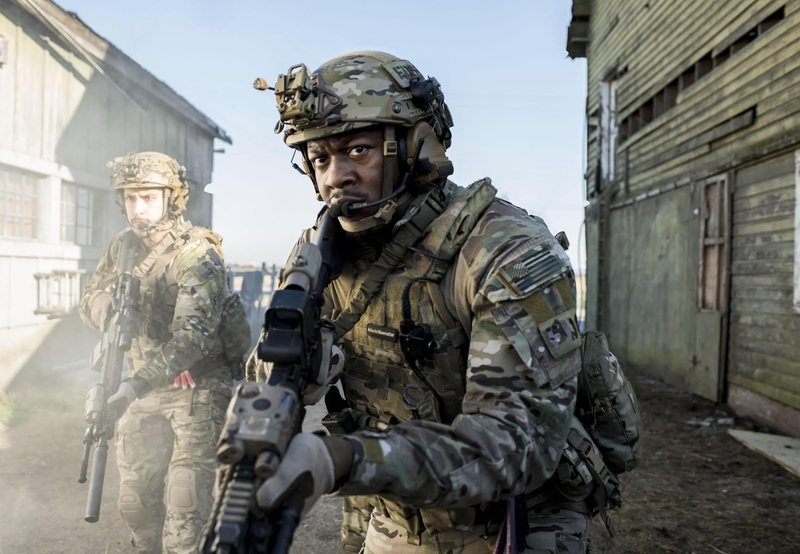 From A+E Studios, the ten-episode second season of “SIX” follows Navy SEAL Team Six in a mission to destroy the terrorist network responsible for the shooting of their former team leader Richard “Rip” Taggart (Walton Goggins, “Justified”). 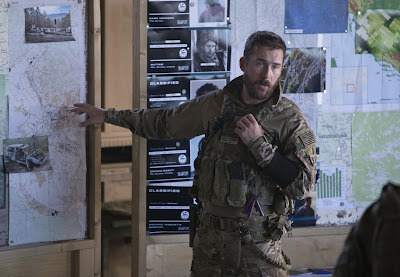 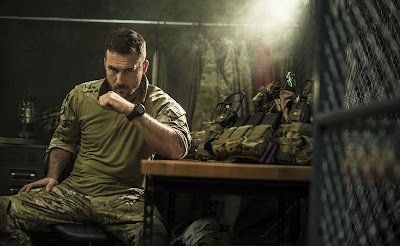 Led by Joe ‘Bear’ Graves (Barry Sloane, “Revenge”), the Navy SEALS will join forces with cunning and tenacious CIA officer Gina Cline (Munn) to scour Eastern Europe, infiltrating hostile territory and terrorist hotspots like Chechnya as they track the mastermind behind Michael’s (Dominic Adams, “Devious Maids”) jihadist network. The chase will bring the Navy SEALs to the border of Russia, where the consequences of their actions could spark World War III. 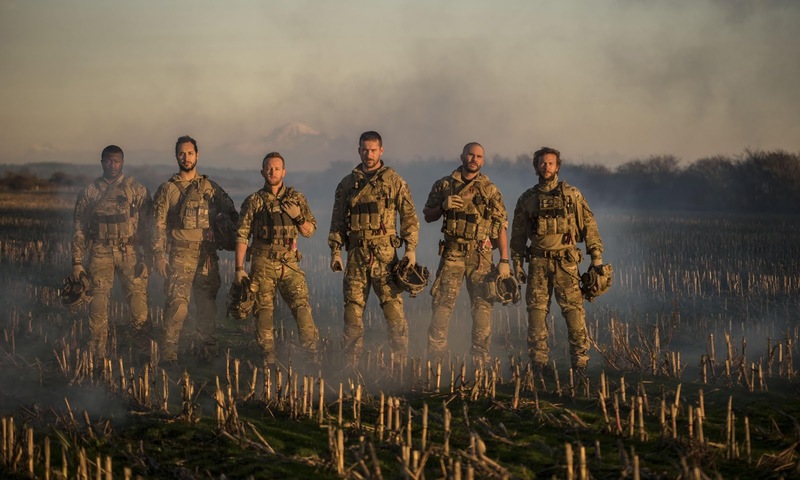 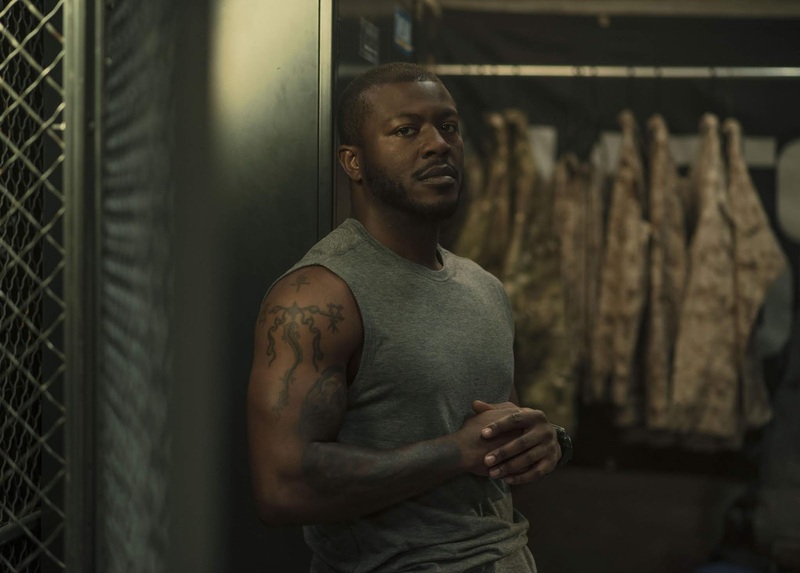 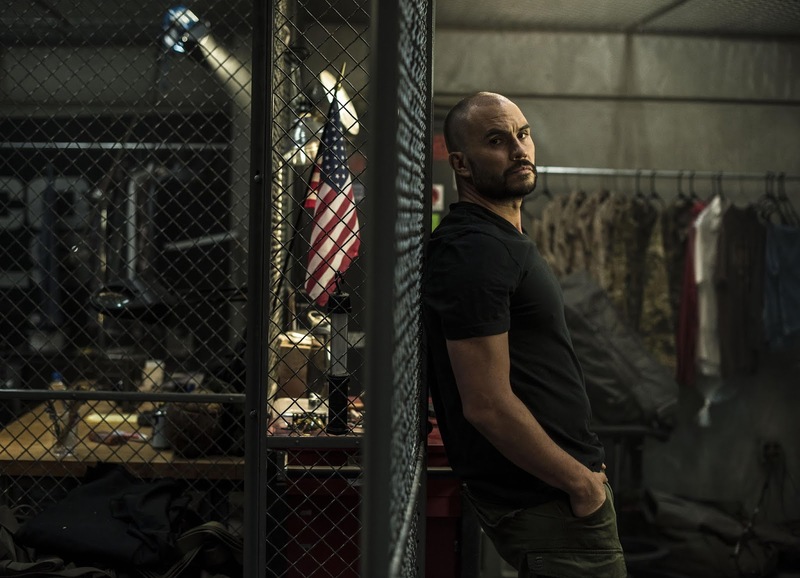 Also returning for season two are series regulars Kyle Schmid (“Copper”), Juan Pablo Raba (“Narcos”), Edwin Hodge (“Chicago Fire”), Jaylen Moore (“The Night Shift”), Brianne Davis (Jarhead) and Nadine Velazquez ( Flight). 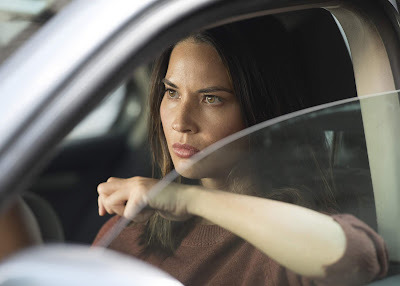 In addition to Munn, newcomers to season two include previously announced Eric Ladin (“The Killing”) and Nikolai Nikolaeff (“The OA”) and recurring guest star, Erik Palladino (“Suits”). 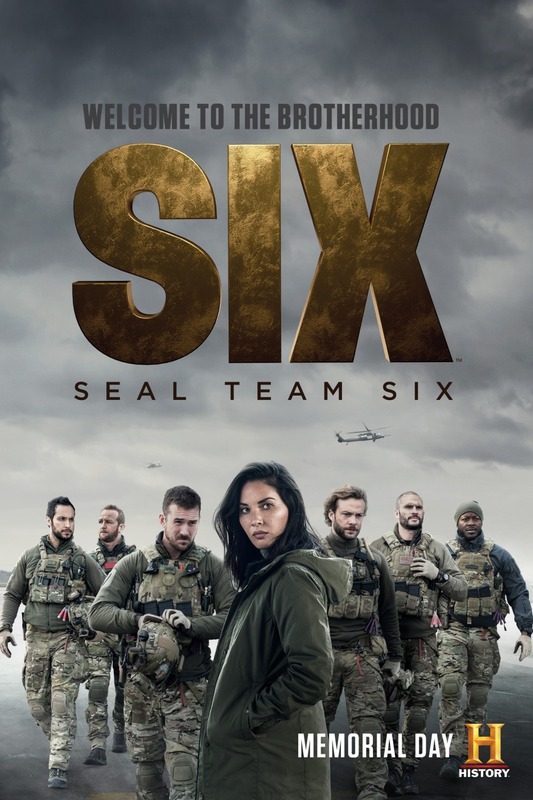 In its first season, “SIX” reached 39 million total viewers across HISTORY and all A+E Networks in Live+7 Days and was cable’s #2 new original series in 2017 among total viewers in Live+7 delivery. “SIX” was created and written by Academy Award® Nominee William Broyles (Cast Away, Apollo 13, Jarhead) and David Broyles, a military special operations veteran. “SIX” is an A+E Studios production. 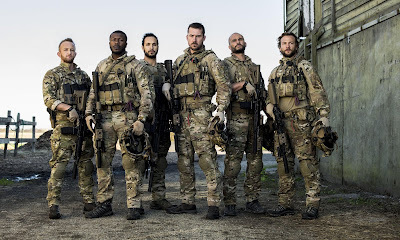 William Broyles, David Broyles, Bruce C. McKenna (“Band of Brothers,” “The Pacific”), Alfredo Barrios, Jr. (“Burn Notice”), George W. Perkins (Live from Baghdad), Meryl Poster and Barry Jossen are executive producers. 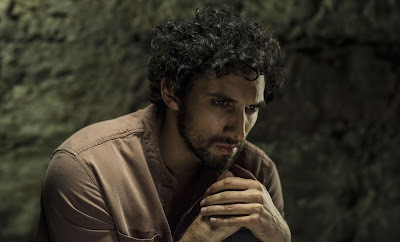 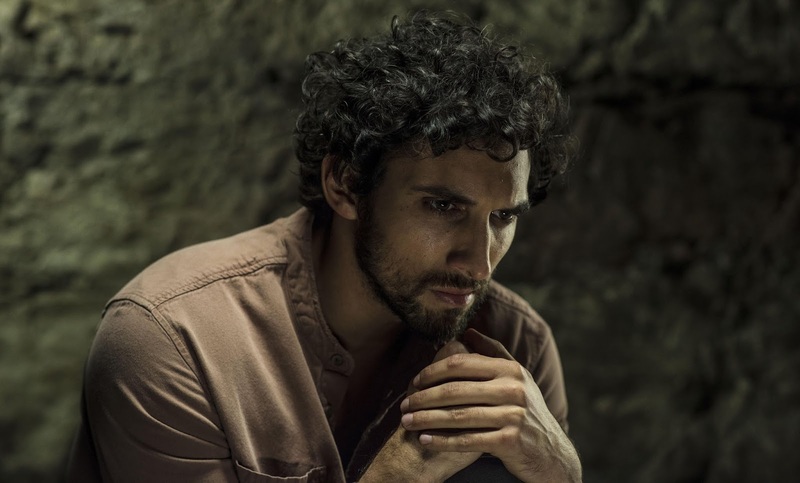 Arturo Interian serves as the Executive Producer for HISTORY." 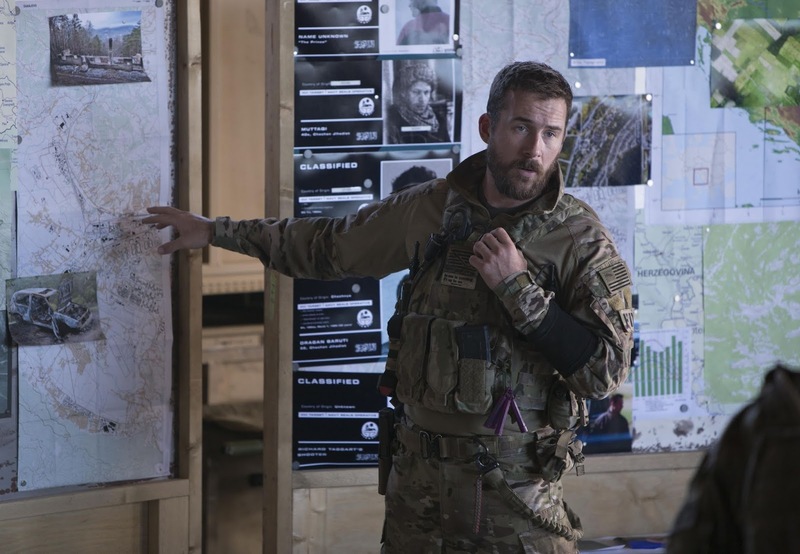 Labels : Barry Sloane,Edwin Hodge,History Channel,Images,Juan Pablo Raba,Kyle Schmid,Olivia Munn,Posters,SEAL Team Six,Six,Six Season 2,Televsion,Trailers,TV Series,William Broyles Jr.